Living Spirit Dishgarden is a wonderful display of our finest plants to honor the life of your loved one. 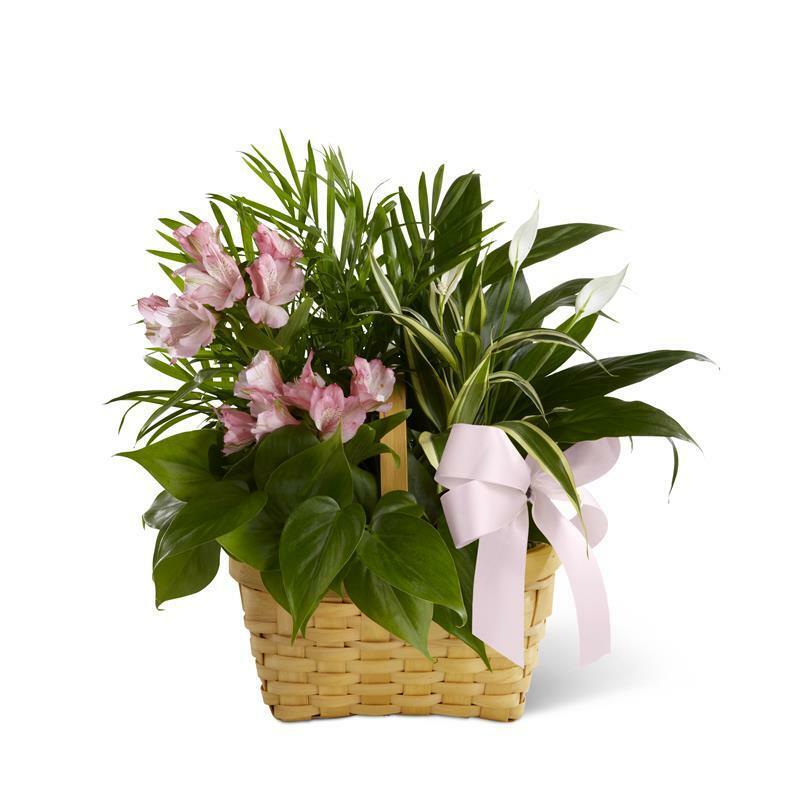 A palm plant, peace lily plant, dracaena plant and a philodendron plant are lush and lovely accented with stems of pink Peruvian lilies. Seated in a 7-inch woodchip rectangular basket, this dishgarden conveys your most heartfelt sympathy while offering hope for brighter days ahead.